Ty MYSTIC the Unicorn with brown horn & coarse Mane. Retired 1997. Mint with mint tags & protector. Shipping with Delivery Confirmation- $5(may be slightly extra for international destinations. )We combine shipping for extra items. 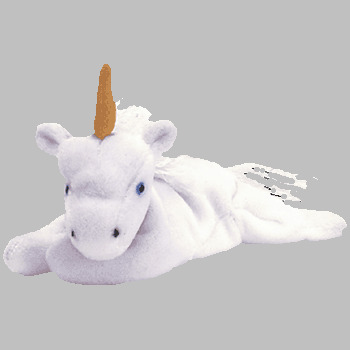 Items Similar To "Ty MYSTIC Beanie Baby-Brown Horn- Retired"